Lupita Nyong’o, Estelle, fashion models Shaun Ross and Ashley Graham as well as DJ Hannah Bronfman were among those raising a glass to Belvedere’s 5-year anniversary with (RED), at one of the world’s most famous cultural landmarks, where countless musical legends began their road to stardom. 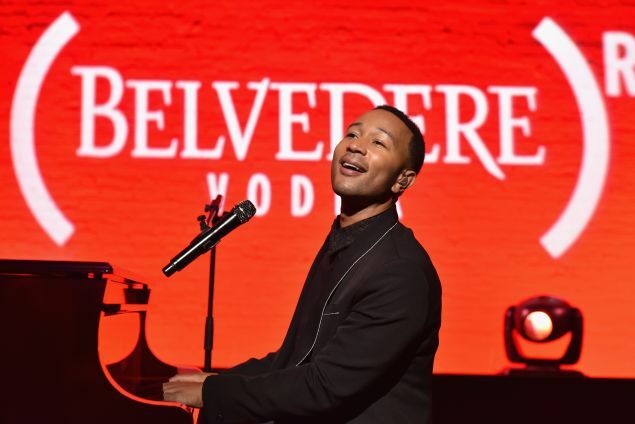 The evening featured an exclusive performance by (BELVEDERE)RED new ambassador John Legend, who debuted his song “Love Me Now” from his upcoming album. The anthem theme encourages people to love now and give now due to the uncertainty of tomorrow. Belvedere revealed the new (PRODUCT)RED limited edition bottle, featuring the vibrant and powerful artwork of celebrated Ndebele artist Esther Mahlangu, alongside John Legend’s signature. Available from September at select retailers around the world.